Is there a curved wraparound screen? No. Does it offer wireless charging? Not yet. Are you wondering the reason behind the new iPhone looking almost similar to its predecessor? If yes, your feeling is understandable. It is true that the new iPhone 7 doesn’t offer that ‘whole new thing’ effect but that doesn’t mean that it isn’t better than the previous phone. Yes it is certainly better apart from that small 3.5 millimeter thing. 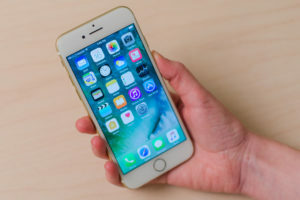 Since its release in September, you must have been acquainted with the fact that it hasn’t got any headphone jack and it looks identical to the iPhone 6 of 2014 and iPhone 6S of 2015. It’s better and it’s faster. There are plenty of great and smart Android phones to choose from like the Galaxy S7 to the OnePlus 3T or the Google Pixel but the iPhone 7 beats all these phones on speed. The performance of iPhone 7, its size and its camera are some of the most unique features and as it offers a unique way to users to use iOS, it has become extremely popular. Being an Apple phone, it is definitely one of its flagship phones that you can buy this 2017. Despite the fact that it doesn’t have a microphone jack, the iPhone 7 features are increasingly compelling. Even if you own one of the latest models, there are definitely some reasons to upgrade to the latest and the greatest version. When it comes to an Apple phone, you always expect something good in colors and they have done exactly so. Now the iPhone 7 comes in 2 versions of black, silver, gold or gold rose colors. If you care about scratches, don’t buy the black one. Know more about apple phone’s feature here.